Their trip took them nearly a thousand miles, from the headwaters of the Everglades through the Panhandle to the Alabama state line. 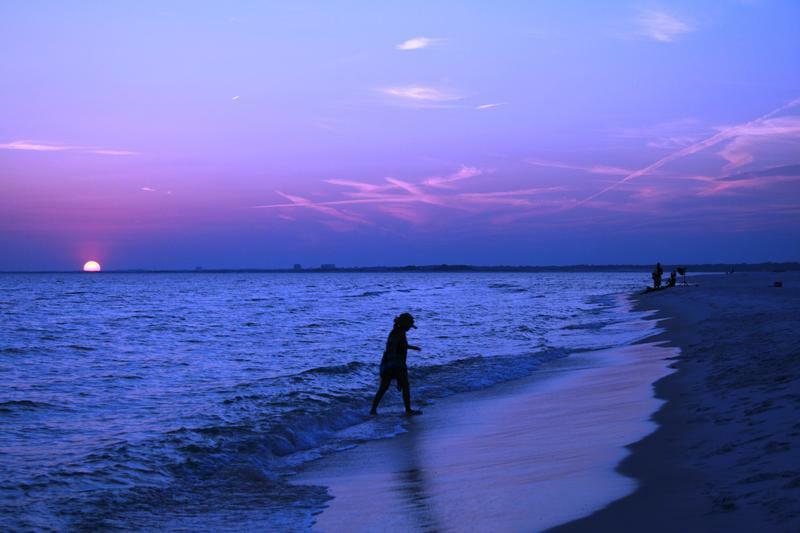 The Florida Wildlife Corridor Expedition has finally come to an end, on an sandy barrier island near Pensacola Beach. WUSF traveled with the trio, and we report on their thoughts on the end of the expedition - and what the future might hold. If their journey of a thousand miles began with one step, it ended with a couple of dozen hugs. SOUND: Hugs on the beach after landing. 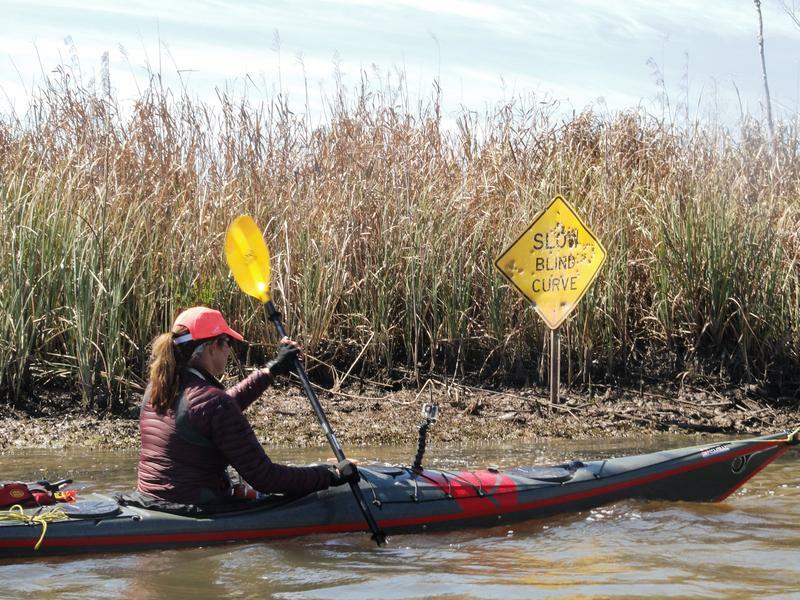 The members of the Florida Wildlife Corridor Expedition completed the final strokes of an 11-mile paddle into stiff headwinds. 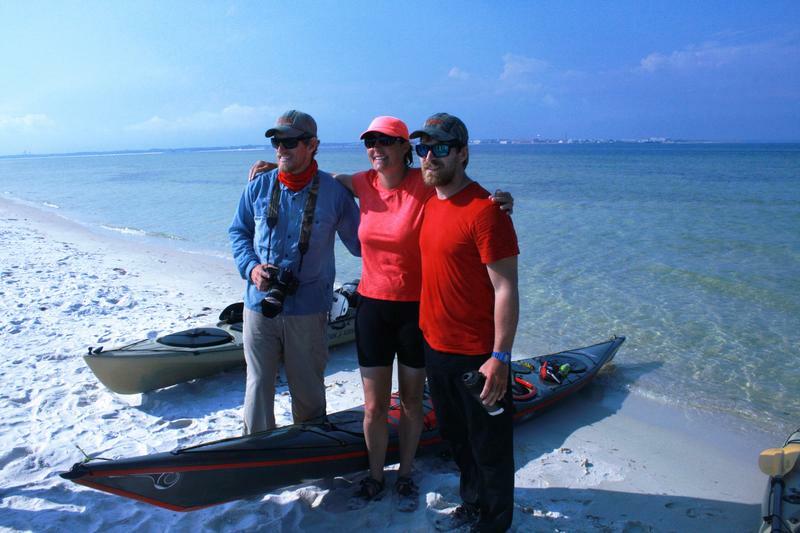 Their trip across Pensacola Bay to the Gulf Islands National Seashore took them several hours longer than they had planned. "We kind of underestimated the length of our paddle. And we thought we were done and we still had three miles to go," says expedition founder and photographer Carlton Ward Jr. "And it just so happened that the tide had switched to be running hard against our bows, and the winds were against us, and there were times we were digging in and giving it all our strength and only going a mile and a half an hour or so. It was a slow last three miles, but I guess fitting. It can't be too easy coming off a 70-day trek." 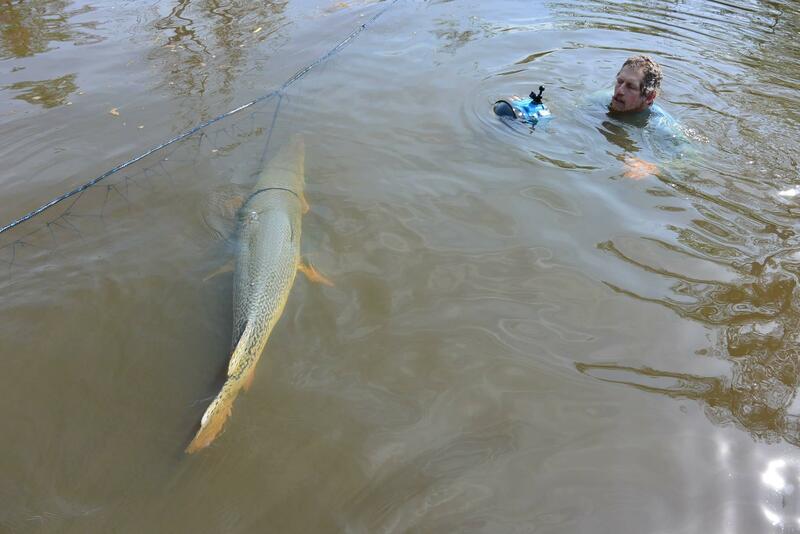 The group had just finished paddling the Escambia River, helping to trap and release a prehistoric-looking fish called an alligator gar. These mammoth gars have been in serious decline because of the damming of rivers where they breed. 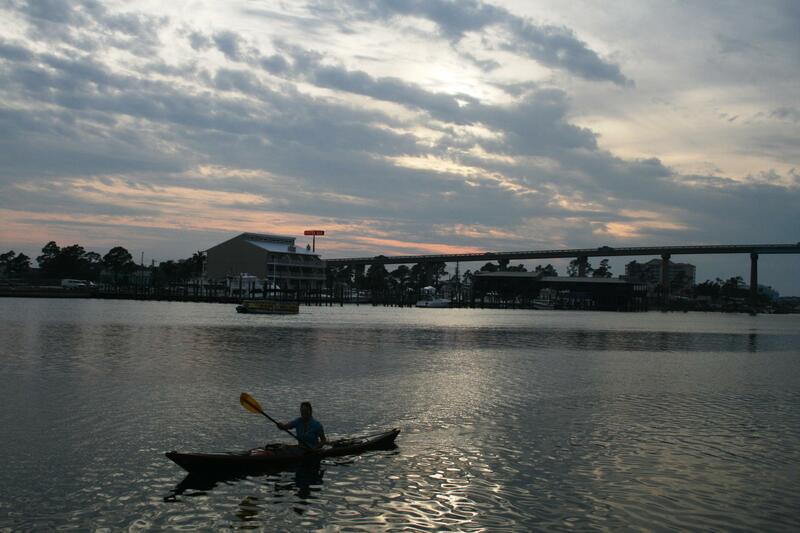 The group then kayaked the Perdido River, which forms the boundary between Florida and Alabama, before settling into Pensacola Bay. 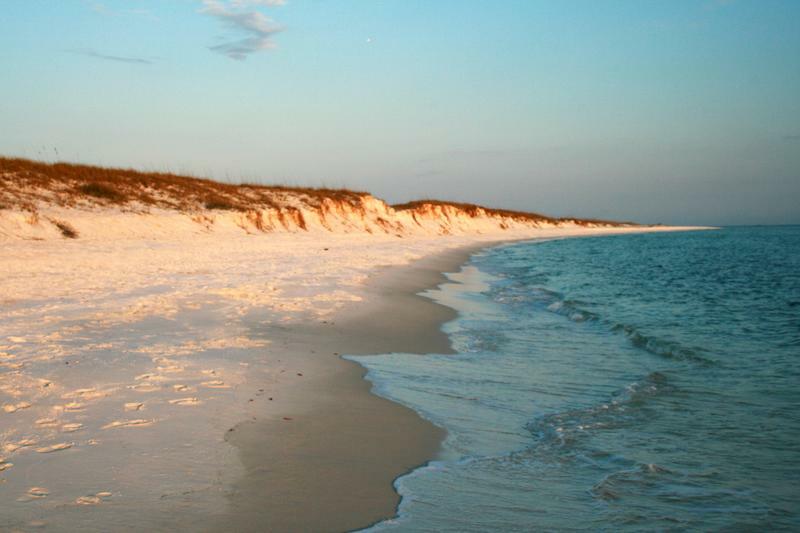 "Gulf Islands National Seashore straddles the Alabama and Florida line. So it's right here, on the far western edge of the corridor, but it's also on the Gulf of Mexico," says Ward. "And from the beginning, the Gulf has been a primary theme of this entire trek. 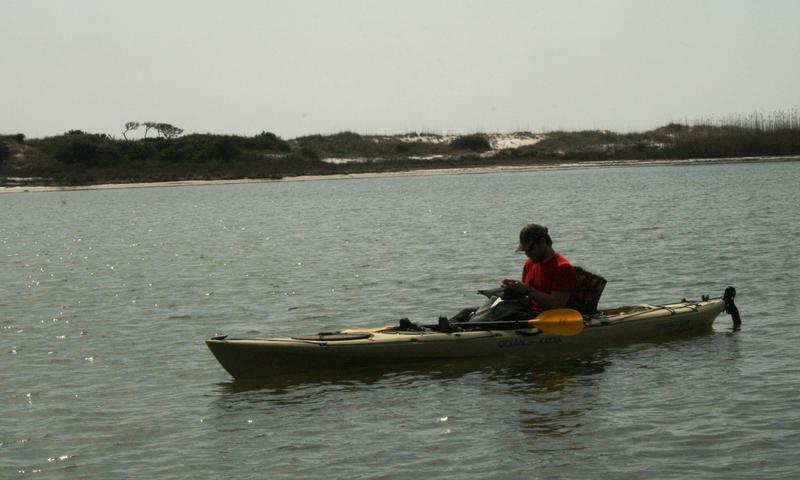 And so to end here, it's really a great opportunity to illustrate the connection between the coastal headwaters and coastal forests, all the way down through the systems, through the estuary and down to the Gulf of Mexico." But all is not so quiet in this corner of Florida. Signs of the military are all around. The Navy's Blue Angels serenaded the group during one of their paddles. 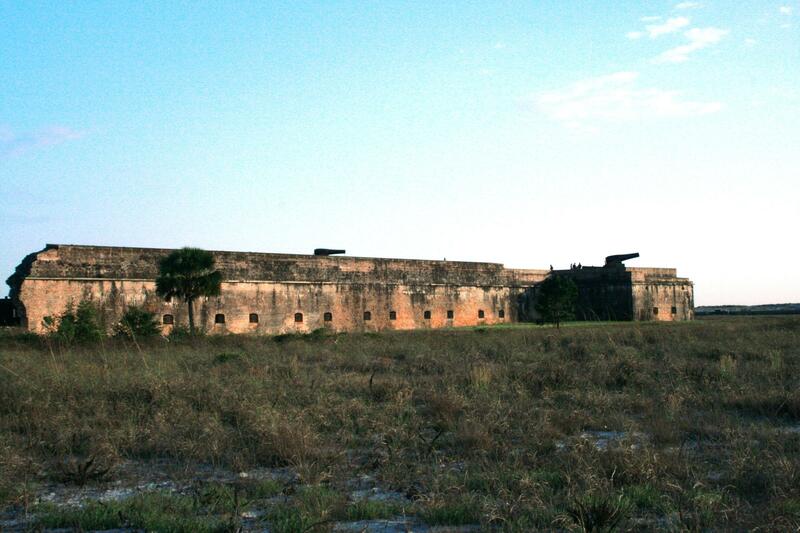 And they hiked through the massive Eglin Air Force Base, with the sounds of bombing runs in the distance. 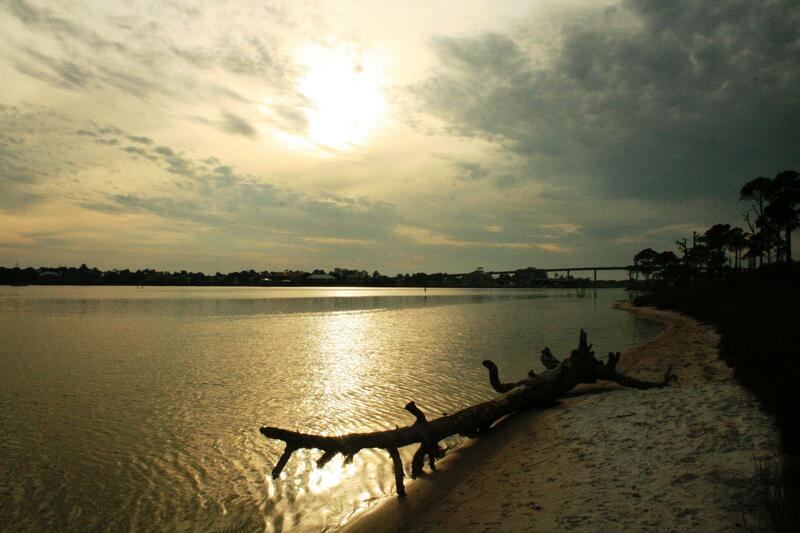 Eglin is a central link in a million-acre wildlife corridor connecting the privately-owned Nokuse Plantation to the east and Blackwater River State Park to the north - which in turn connects with the Conecuh National Forest in Alabama. Expedition biologist Joe Guthrie was asked if he felt worn out by being on the road for 70 days. "There's different kinds of tired. There's a satisfied tired, and that's what I think I have. It's more of a mental tiredness than a physical tiredness. That kind of constant thinking and working to make each day like we planned it. That'll take it out of you. But in terms of the physical, I feel like I can keep on doing this kind of thing forever." And even after 2 1/2 months on the road, through freezing cold and endless miles, Guthrie says he feels inspired. "The main thing that I've come to understand is a part of Florida that I had no understanding of before," he says. "And watching the seasons change, you understand Florida. It's like finding the first edition of a book that no one has access to. And you have a map in your mind now, and it's more complete for me now." "I definitely have the best job in the world, and I will miss that sorely in the coming months," says expedition leader Mallory Lykes Dimmitt. The night before the finale, around the campfire at Big Lagoon State Park, I asked her what's next. 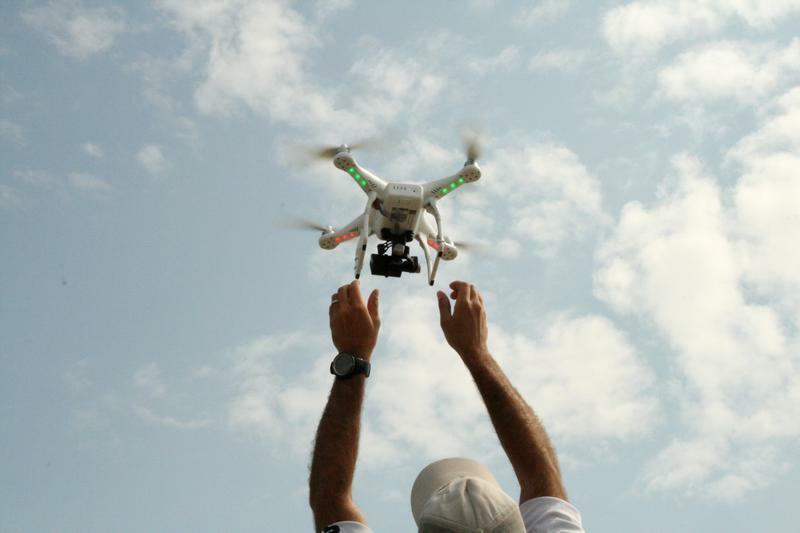 "Ultimately, our goal is to help inspire people to keep Florida wild. And I hope that we've been able to do that on these 70 days," she says. "But as Carlton and others have said, our work really just begins here and we look forward to the next phase of the challenge." 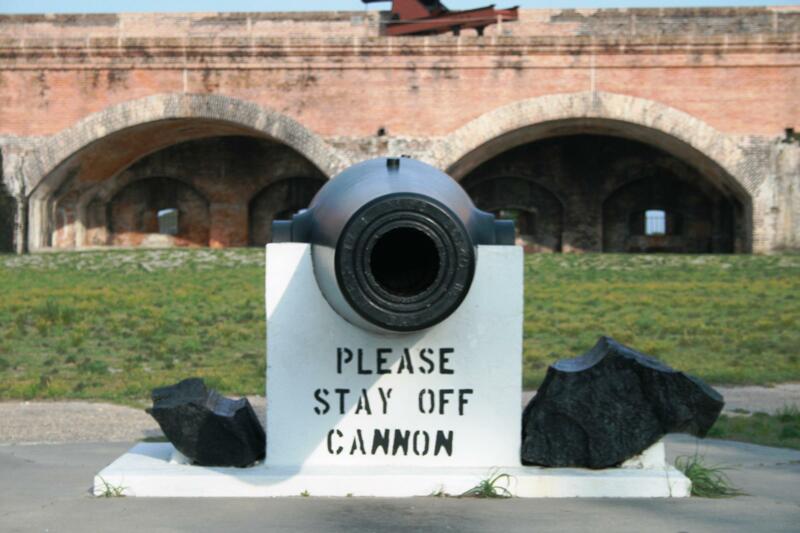 Their trip ended near Fort Pickens. It's a red brick fort built in the 1830's, and held prisoners such as the famed Apache chief Geronimo and the son of Cochise. The group spoke to about 60 people gathered in a nearby pavilion. It ended with a word of thanks from Deborah Keller of The Nature Conservancy. "I really want to thank all of you for the sacrifice you've made made personally, for 70 days away from whatever your normal life is and your families - to do this for the state of Florida," she told the group. "Because you've been able to bring together diverse groups, environmental organizations, incredible partners, legislators - people that we don't even know about yet - in a common vision of what Florida can be. And hats off to you - it's been an honor to travel and be around you. We all owe them a huge debt of gratitude." So what happens now? After all, their vision of a connection between the state's remaining wild areas remains a work in progress. "You know in my mind, our work is just beginning," says Dimmitt, "in that we want to continue to promote the Florida Wildlife Corridor, to tell the story of the corridor and all the people who make it real, and make sure we are inspiring more and more people each day to make it a protected reality. So that's my goal." And Ward says his hopes for getting the lion's share of the Amendment One money recently passed in a statewide referendum are fading, after state lawmakers started slicing into that pie. "It's been an amazing privilege to travel with Joe and Mallory all this way, and to be able to bear witness to this story," he says. "But while we're out here, state lawmakers are in session, and I can't help but think there's still not enough appreciation and emphasis on protecting these remaining wild places. And that's something that we need to push on and find a way through. Because in the next few years, if we don't make some moves, some of these connections are gone. And there's a lot at stake." So it looks in many ways like their thousand-mile journey is just beginning. The expedition members recently were interviewed by WUSF's Steve Newborn along the shores of Apalachicola Bay for a taping of Florida Matters. You can listen to it here. 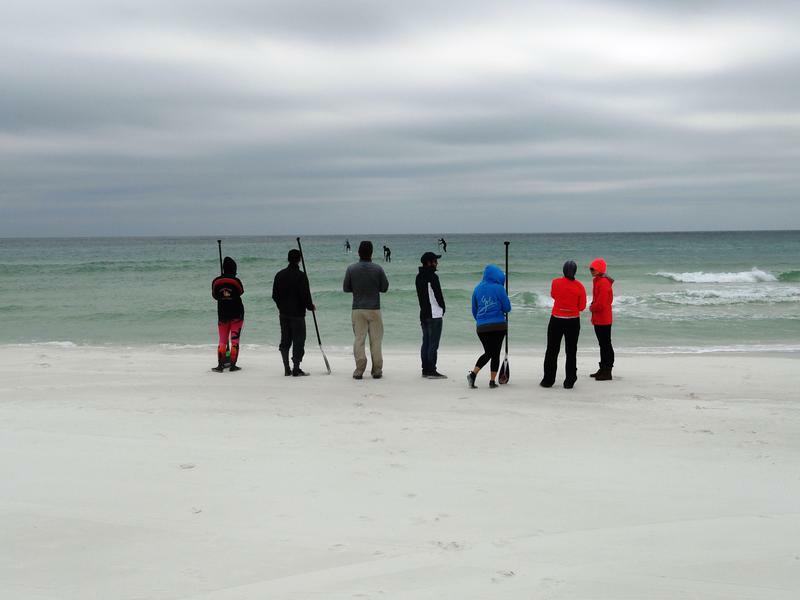 The Florida Wildlife Corridor Expedition is in the final week of a nearly 1,000-mile trek from Central Florida across the Panhandle to the Alabama state line. They're hiking and paddling sandy-bottom rivers in the state's wild northwest corner. 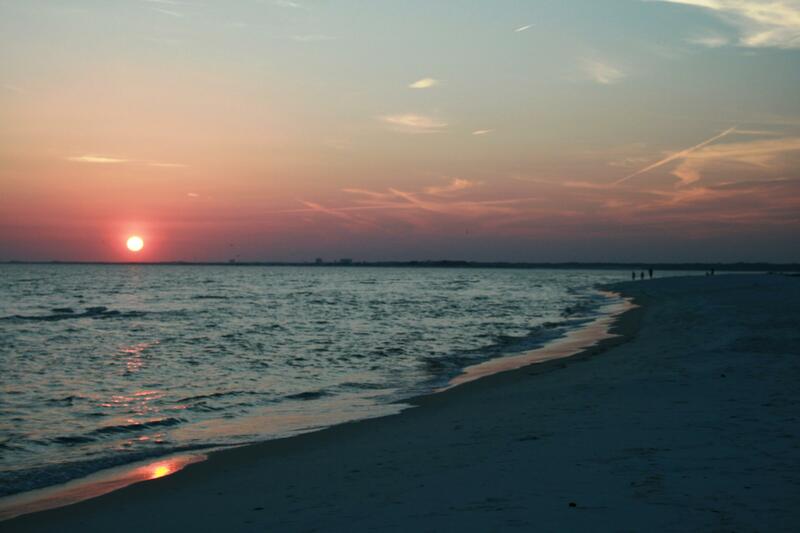 It's also home to the biggest military bases in Florida. This week, we report on how helicopter bombing runs mix with the peace of the wild. Nearly 1,000 miles in 70 days -- that's how long a trio of wildlife enthusiasts are traversing the state, from Central Florida to the Alabama state line. 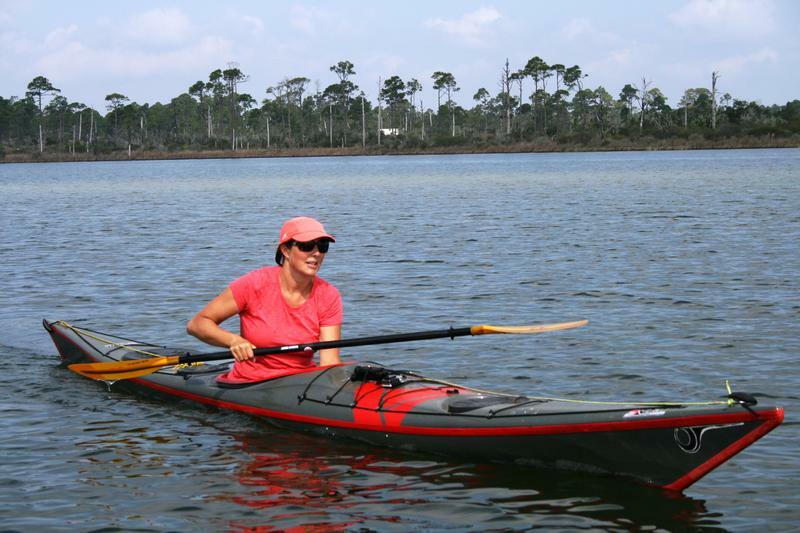 The Florida Wildlife Corridor Expedition is now crossing through the western Panhandle, after they've hiked, biked and kayaked from Central Florida. But to get there, they had to cross some other emblems of Florida - traffic-choked Interstate highways. We go to some of the biggest barriers to the expedition's goal of establishing a continuous wildlife corridor. 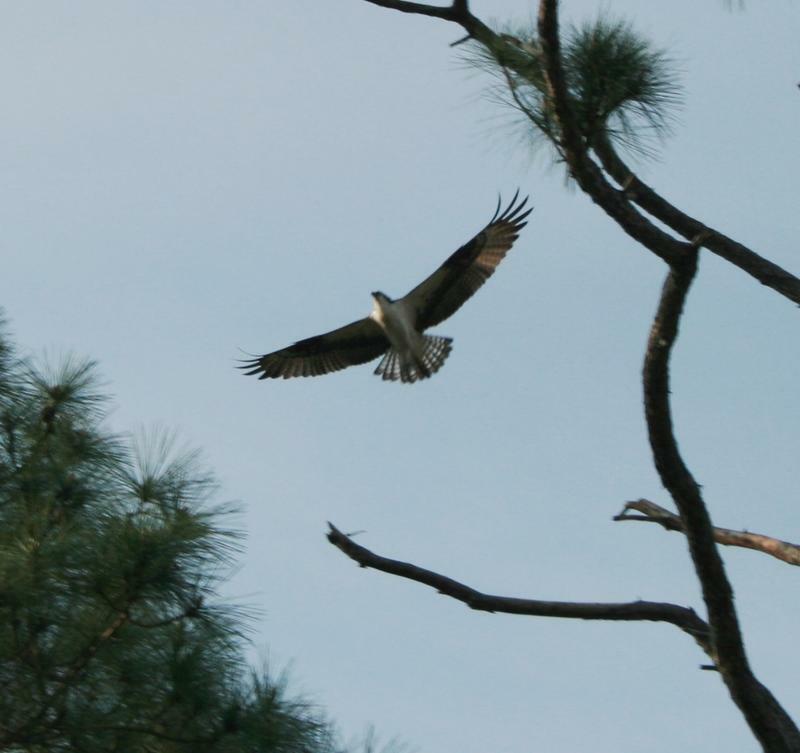 Members of the Florida Wildlife Corridor Expedition are in the second week of their 10-week, 925-mile trek from Central Florida to the Alabama State line. Part of their trip goes through the Green Swamp. It's a mysterious place to most people, but critical to the the water supply for Central Florida.